Today we’d like to introduce you to Marla Elena Granados. Thanks for sharing your story with us Marla Elena. So, let’s start at the beginning and we can move on from there. I’m going to start by going way back to my childhood, bear with me, it won’t take too long. Growing up, I was a gymnast. I lived for gymnastics. It was my heart and soul; but, I also suffer from severe migraine headaches and all the tumbling from gymnastics didn’t help. My migraines got so bad I had to stop gymnastics. It was heartbreaking. It seemed as though any physical activity I did brought on a migraine, so I stopped all physical activity for several years. When I was in college I discovered Pilates. Not only did I enjoy it but I was able to do Pilates without getting a migraine. This was groundbreaking. Let’s fast forward a bit. I was working in the ‘corporate world,’ earning a steady paycheck, health insurance, making great friends, and all the perks, yet still feeling unfulfilled. Lo and behold layoffs, our entire network got the boot! I was thrilled. This was my chance, I had been too scared to take the leap before but now the opportunity was right in front of me. I did it! I embarked on a complete career change. I went to school for Pilates, received my certification and ran with it! I worked at several different Pilates studios before opening my own studio. While running my studio I continued my education. I studied Prenatal and Postpartum Pilates, Pilates for Post Operative Breast Cancer recovery, Rehabilitative Pilates and Pilates for functional fitness. Last year I became certified in Fascial Stretch Therapy. This has been a game changer in my studio. People are LOVING it! 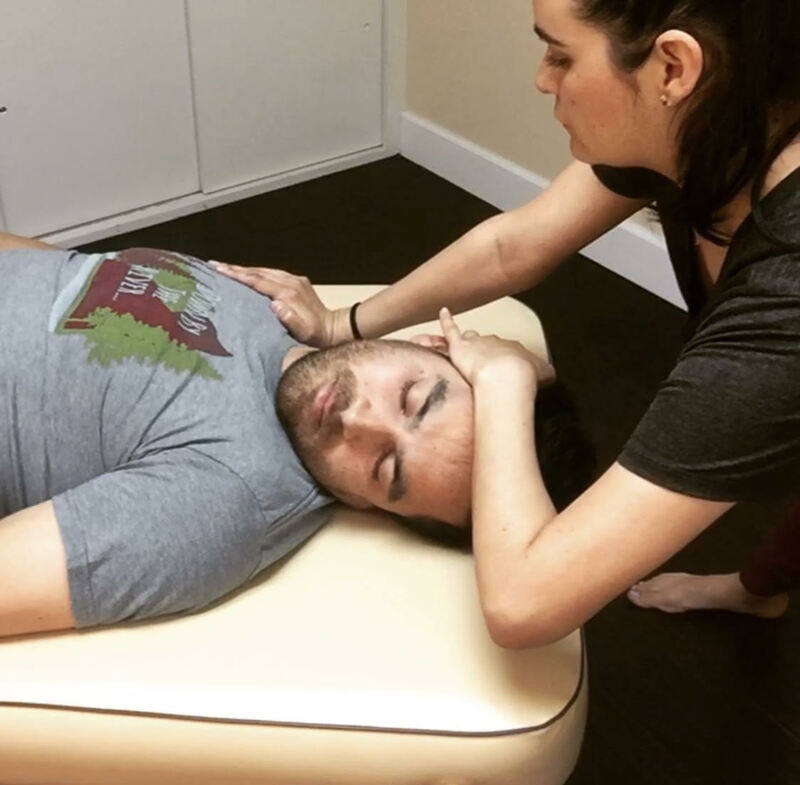 There are so many benefits to Fascial Stretch Therapy. It’s incredible. I’ll talk about that in more detail a little later. So here we are, present day, I still offer Private and Semi-Private Pilates in my studio. Fascial Stretch Therapy has a little more flexibility because all that is required is my massage table, which is portable, so FST (Fascial Stretch Therapy) is also offered as a mobile service, I can come to you! House calls are becoming increasingly popular. I like to help people feel like the best version of themselves — and that’s why I do what I do! I don’t think any road is ever entirely smooth. And that’s okay, as long as you learn from those challenges. That’s exactly what I’ve done with every obstacle that has presented itself. I take each obstacle as an opportunity to learn and grow. That may sound corny but it’s true. Being your own boss has its ups and downs. The highs outweigh the lows and that’s what keeps me going. I have a very supportive family. They are my cheerleaders and they have my back through it all. My family has been my foundation since the beginning. Setting a good foundation allows for successful growth for years to come! 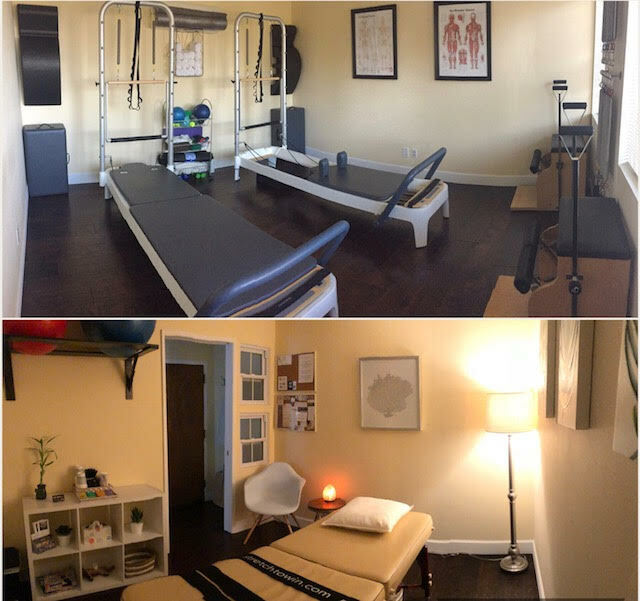 I provide Private and Semi-Private Pilates, as well as Fascial Stretch Therapy, in a quiet, safe and welcoming studio. Most people have heard of Pilates, they may not be familiar with the ins and outs of it but they have an idea of what Pilates has to offer. 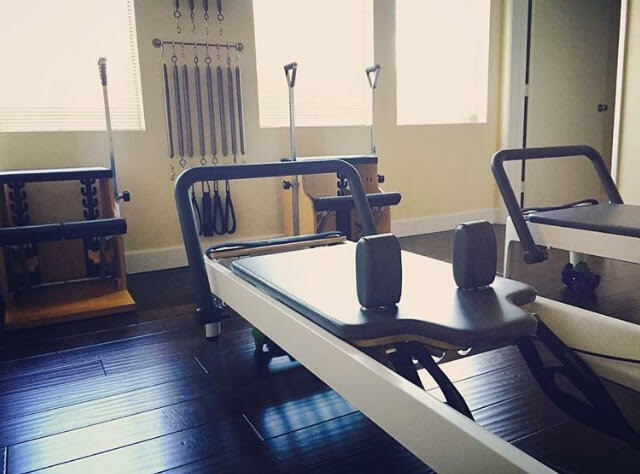 Whether it’s an athlete training for their next marathon, a prenatal woman preparing her body for childbirth, or a client with minimal mobility, Pilates sessions are tailored to each individual’s needs. What most people are new to is Fascial Stretch Therapy. FST is growing rapidly in my studio. It’s great for just about everyone! From athletes, people who are glued to their desk, the senior population and everyone in between benefits from FST. Fascial Stretch Therapy greatly reduces pain, stress levels, tension, stiffness and tightness, improves sleep and corrects balance and posture. This is a pain-free method to gain flexibility, mobility and range of motion while treating the connective tissue around your muscles, nerves and organs. FST gets you feeling your very best! I’m aware that people have options when it comes to self-care, health and wellness. What I strive for is a connection and a sense of belonging. When people walk through my door I want them to feel welcome, safe and comfortable. In Spanish there’s a saying “Mi casa es su casa” (which translates to “my house is your house”) because for that hour we’re spending together, I want you to feel at home. It’s a two-way street. We, the client and practitioner, have to build trust and respect with one another. I give 100% of myself with each and every client because I value the time and effort they are taking to better themselves. Whether they are coming into my studio for Pilates or Fascial Stretch Therapy, they are coming in for a mind-body experience and they will walk away feeling a whole lot better than when they came in. It’s a noticeable difference each and every time. I couldn’t image running my business anywhere other than Long Beach. It’s diverse, has so much culture and the people are amazing. When I was thinking of opening my studio I struggled with location. Long Beach is so big and has so many great neighborhoods, it’s hard to pick a favorite. In the end I knew I had to open up shop in my own neighborhood. So here I am, East Long Beach, a few miles from the beach, next to CSULB, and right off the freeway. There’s no reason why you wouldn’t want to come see me! Long Beach has so many small businesses and gets so much support from the community. I believe it’s the small businesses that give Long Beach a lot of its charm and small town feel in such a big city! We welcome everyone with open arms!